Global Green Light Day was a huge success! This is an exciting day! (See the posting about the event. Press coverage includes several news wire services, publications and being featured on ODE Magazine’s web site. (Check out this magazine for “intelligent optimists” – like YOU. It’s full of Green Light news and people.) 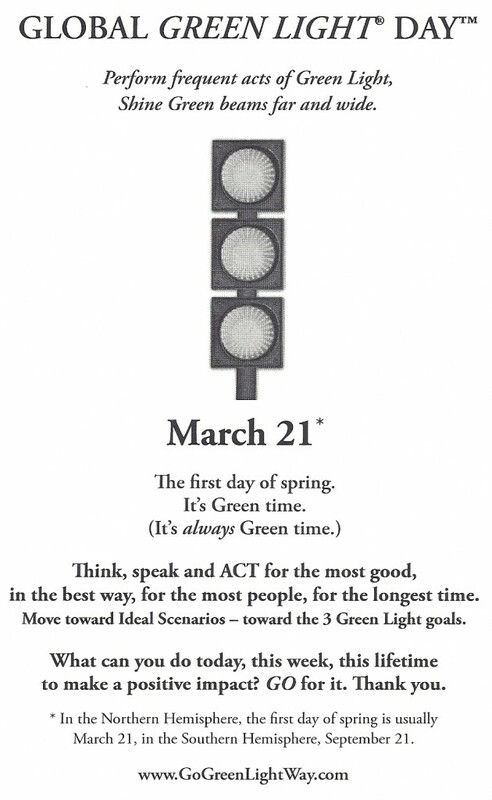 Fun to imagine all the Green Light actions folks are taking on this day!